The EU has also opened (to 17th November) a public consultation for the “Fitness Check” of the EU Water Framework Directive (WFD - 2000/ 60/CE) and the Floods Directive (2007/60/CE). This covers also the two WFD ‘daughter directives’, the Groundwater Directive (2006/118/EC) and the Environmental Quality Standards Directive (2008/105/EC). This consultation is linked to the review of the Urban Waste Water Treatment Directive (see above). ESPP proposes to input that the WFD should be maintained at its high level of ambition, including the Urban Waste Water Treatment (UWWT) and Nitrates Directives as obligatory “basic measures” of the WFD, because of the high social and economic value of water resources. However, the flexibility of the WFD results in ambiguities concerning how costs are passed on to water users and other stakeholders, despite the principle of cost recovery indicated in Art. 9. The economic tools needed to enable achievement of the WFD objectives should be clarified and developed, in particular tools enabling full cost recovery for all actions defined in the River Basin Management Plans (RBMPs), and conditionality of farm subsidies and other public funding to implementation of RBMP defined actions (RBMP cross compliance) and mechanisms to enable cost recovery by farmers (for food industry, distributors and consumers) of costs related to phosphorus loss mitigation actions. The European Commission has started preparation of “FP9”, the EU’s R&D funding programme which will follow Horizon 2020. 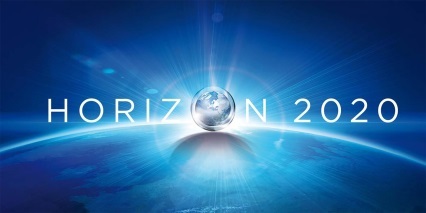 Horizon 2020 runs from 2014-2020 with a budget of c. 80 billion €. ESPP is working on input to this process, identifying strategic areas where research or demonstration is needed at the European level to support nutrient stewardship. The areas identified, to date, by ESPP are: Phosphorus and nutrient flows; Recycling organic carbon and nutrients; Social acceptance of nutrient recycling and the food industry; Nutrient delivery to agriculture; Agricultural practices for nutrient efficiency and reducing nutrient losses; Industrial applications, processes, value chains; Eutrophication remediation. For each of these areas, ESPP proposes specific action needs. This ESPP input document will be communicated to the European Commission, Member States (FP programming committees) and stakeholders. A range of industry organisations, EEB (the European environmental NGO federation) and ESPP have published a joint position on the need for data and research into organic contaminants in sewage biosolids and in manure. Recycling of nutrients and carbon from organic wastes back to agricultural soil is under pressure because of real or perceived concerns about organic contaminants (pharmaceuticals, organic chemicals, etc). There is a lack of information because these contaminants are “emerging” (most past data addressed heavy metals and pathogens) and because pharmaceuticals are studied more in water, because they are less present in solids (sludges, soils). To address concerns, and so prevent blockages to the carbon and nutrient circular economy, data and risk assessments are needed to support policy decisions and enable dialogue with consumers, farmers and the food industry. This position, initiated by ESPP, is communicated to European and national policy makers, in particular in the context of the preparation of the EU’s FP9 R&D programme (see above). 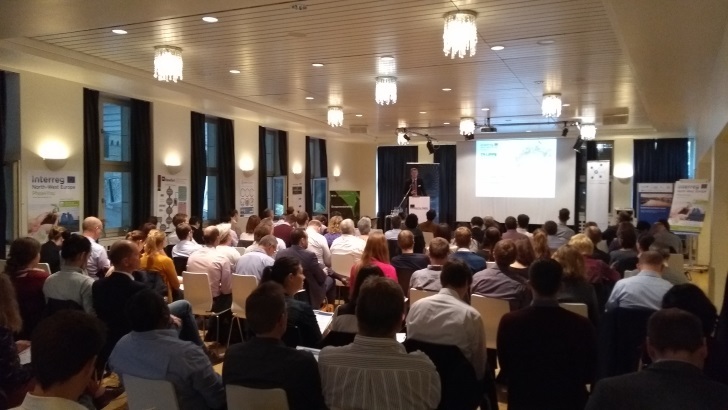 About 25 nutrient recovery research and demonstration projects met and presented themselves in Basel, Switzerland, 19th October, to discuss project coordination and future research needs. Projects present included Horizon 2020, LIFE, Interreg and national funded R&D projects, as well as participants from industry and policy makers. This European Nutrient Event was jointly organised by ESPP, the Phos4You project and Basel Region. This was the second such European coordination meeting of nutrient R&D projects, following the first meeting organised in Berlin in 2015 (see SCOPE Newsletter n°111). In Basel, the meeting concluded the need to develop continuous exchange between nutrient R&D projects: to avoid the stop-and-go which has resulted in the past from meetings too far apart (2015, 2017) and from coordination organised by projects (three year duration).Other specific proposals included to establish a Mediterranean network on nutrient recycling; structure cooperation between nutrient R&D projects present (such as joint dissemination, back-to-back events at important industry trade fairs); develop an independent panel and data base for evaluation of nutrient recycling technologies, systems, costs; network across projects of demonstration plants in different regions, different types of waste / water, different treatment systems. The Basel 2017 R&D project coordination event followed a first day organised by Phos4You and the German Phosphorus Platform (DPP) discussing the new regulatory obligations for phosphorus recovery in Switzerland and in Germany and presenting available technologies. The European Commission has pre-published upcoming calls under Horizon 2020 research work programme 2018-2020 Societal Challenge 2 on Food Security, Sustainable Agriculture and Forestry, Marine, Maritime and Inland Water Research and the Bioeconomy, and Societal Challenge 5 on Climate Action, Environment, Resource Efficiency and Raw Materials. One call focuses specifically on closing nutrient cycles (CE-RUR-08-2018-2019-2020), for 2018 on “Understanding properties and impacts of bio-based fertilisers” (open for submission), for 2019 on “Bio-based fertilisers from animal manure”, and for 2020 on “Bio-based fertilisers from other by-products of the agro-food, fisheries, aquaculture or forestry sectors”. Other 2018 calls open for submission focus on “Integrated system innovation in valorising urban biowaste” (CE-SFS-25-2018), “Realising the potential of regional and local bio-based economies” (RUR-09-2018), and “Methods to remove hazardous substances and contaminants from secondary raw materials” (CE-SC5-01-2018). One additional 2018-2020 call open for submission focuses on “Thematic networks compiling knowledge ready for practice” (RUR-15-2018-2019-2020). For 2019 there will be calls on “High-quality organic fertilisers from biogas digestate” (CE-SFS-39-2019) and “Circular bio-based business models for rural communities” (CE-RUR-10-2019), and “Building a water-smart economy and society” (CE-SC5-04-2019). Potential other EU funding sources are the H2020 SME Instrument (479 M€) and Fast Track to Innovation (FTI, 100M€). Additionally there are potential opportunities for nutrient related research under H2020 within the Thematic Networks and Multi-Actor Approach. Two information days for Horizon SC5 are organised 8 – 9 November 2017 and an info week for Horizon 2020 SC2 is organised 14 – 17 November 2017, both in Brussels, web streaming available. 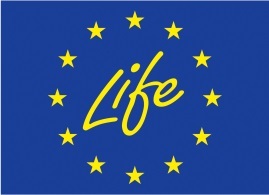 The European Commission has approved 139 new LIFE projects for actions for nature, environment and climate change. These include 15 resource efficiency projects (38 M€). Of these, the ECOGRANULARWATER project will develop an energy self-sufficient biological treatment system (photovoltaic powered) for purifying drinking water for small towns, including phosphorus and nitrogen removal. The NEWEST project will use natural-based coagulants for tertiary treatment to remove phosphorus, suspended solids and turbidity to very low levels in wastewater treatment, generating biosolids with improved characteristics for land application. The YEAST project aims to valorise brewers spend yeast (BSY), a beverage industry byproduct rich in nutrients, producing animal feed, a wine industry fermentation activator and bioactive peptides for the food and cosmetic industries. As presented in ESPP eNews n°9, the Ellen MacArthur Foundation and the World Economic Forum (WEF) launched in March this year the “Urban BioCycles” project to identify opportunities and systemic solutions to transform urban biowaste flows, in particular sewage and food waste, into a source of value by recovering and recycling energy, organic carbon, nutrients and materials. Independently of this, two major EU-funded R&D projects are now working on urban biocycles: DECISIVE and URBIOFIN. Funded under Horizon 2020 Waste6, DECISIVE will run 2016-2018 (project budget 8.7 M€) will look at using urban, micro-scale anaerobic digesters to treat biowaste and recycle nutrients to urban farms, with demonstration sites in Lyon France and Catalonia Spain. Funded under Horizon 2020 (Bio Based Industries Joint Undertaking), URBABIOFIN (2017-2021, project budget 15 M€) will demonstrate valorisation of the organic fraction of municipal solid waste (urban biorefinery) with the objective of producing chemicals and biofertilisers. Also, ECOMONDO, the Green Technologies Expo, 7-10 November, is organising a one-day conference on the circular economy for urban organic waste flows. Thirteen Baltic Sea R&D projects, funded under the 2012 BONUS Innovation call (total budget 7.2 M€, EU Blue Growth Strategy and EU Strategy for the Baltic Region) have now finished. The projects covered a wide range of environmental themes including maritime safety, oil and pollution detection, environmental and fish monitoring, with three projects addressing nutrients: BONUS PROMISE (summary in ESPP eNews n°15) looking at phosphorus recycling from manure and sewage biosolids, OPTITREAT and MICROALGAE. Targeting smaller waste water treatment plants, OPTITREAT looked at removal of nitrogen and phosphorus, pharmaceuticals and hormones. MICROALGAE looked at microalgae cultivation as a route for wastewater treatment and nutrient recovery. A two-phase system was developed, with first high-growth to optimise biomass production, then stress conditions to increase added-value chemical or bioenergy products within the microalgae biomass and production of a bio-fertiliser to recycle nutrients. 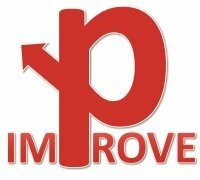 A review paper from the IMPROVE-P project summarises current knowledge on phosphorus recycling in organic farming. Based on some 400 publications, phosphorus recycling potential, fertiliser effectiveness and pollutant risk are assessed for fifteen different recycled nutrient materials including sewage biosolids, recovered phosphate precipitates, meat and bone meal, different ashes, composts and digestates, and ash-treatment processes. The authors concluded that plant phosphorus availability in most recycled nutrient materials is better than for phosphate rock, that technical recovery routes generally result in lower recovery rates and loss of nitrogen and organic carbon (compared to recycling or organic materials) and that there is a low risk from potentially toxic elements in recycled organic materials. All these conclusions are however generalisations which may not be true for specific recycling routes or products. The authors indicate the need for further research into possible consequences of organic pollutants, societal acceptance and into environmental and biological phosphorus recycling processes. They underline that the use of recycled fertilisers in organic farming is currently strongly limited by regulation and by private “organic” labelling specifications, in some cases not coherently, and that significant changes are needed to these rules to enable organic farming to use regionally sourced recycled nutrients with positive life cycle assessments whilst continuing to ensure safety and soil stewardship. BBSRC, the United Kingdom Biotechnology and Biological Sciences Research Council, has awarded over 13 M UK£ (2016-2017) to research for resilience and sustainability of the UK food system, including crop resilience to climate change and disease. About 1.5 M UK£ has been allocated to research into the role of phosphorus in UK food system resilience. The project, led by Paul Withers of Bangor University, aims to deliver a first “phosphorus vulnerability assessment of the UK food system at catchment and national scale”. It will address biophysical, economic, societal and governance/institution dimensions of the role of phosphorus in the UK food system. It will develop and prioritise stewardship options, propose methods and indicator metrics and identify adaptive capacity strategies at farm and catchment scale and barriers to their implementation. A study using rats and humans provides new insights into how intake of phosphorus impacts kidney function, hormones and blood phosphorus levels. 14 human volunteers were given 0.5g of phosphorus in solution at morning fasting (i.e. c. 1/3-1/4 of Western average daily intake). 20 rats were given a comparable dose. In both cases, subjects had variable levels of kidney function (GFR). Blood and urine phosphorus were monitored over two hours. In the rats, radio-labelling of the phosphorus dose provided additional information about gut phosphorus uptake and fate of absorbed phosphorus. Results show increased levels of blood phosphorus and of the hormone PTH (parathyroid hormone) after the phosphorus dose, but no significant change of the hormone FGF-23: the authors suggest that levels of this hormone change over a longer time. Results show that blood phosphorus increased faster in subjects with good kidney function, despite a much larger increase in PTH hormone in subjects with poor kidney function. This is explained because phosphorus is excreted in the kidneys, and homeostasis is achieved by kidney active reabsorption, which is inhibited by PTH. The authors note that it is the relative change in PTH, compared to base levels, which correlates to blood phosphorus homeostasis: subjects with chronically elevated PTH have less responsive homeostasis. The results show that better kidney function is correlated to greater responsiveness to PTH hormone and to increased urine phosphorus excretion (after 2 hours from intake). Thus, in subjects with poor kidney function, or with “impaired phosphorus tolerance” related to baseline elevated PTH, phosphorus intake is not found circulating in blood nor in urine, so is presumably being deposited in tissues. The authors suggest that these results could be of importance in early identification of kidney problems, and in understanding the apparent correlation between higher blood phosphorus levels and cardiovascular disease risk. Danone produces 1.6 million bottles of Evian spring water per year, on the French side of Lake Geneva, providing some 1 300 jobs. The local springs also supply some 12 000 inhabitants with tap water. The Evian water filters through Alpine rock and soil, in a fifteen year mineralisation process. However, the mountain plateau grasslands are also home to a dairy production, for which manure is important for grassland fertilisation. Bringing these together, Danone has built an anaerobic digester, taking manure from 41 dairy farmers: 36 000 tonnes dairy manure, 2 700 tonnes of municipal green waste and 1 000 tonnes of food waste annually. The installation produces nearly one million cubic metres of biogas per year, which is refined to biomethane and injected into the gas network (9 200 MWh equivalent) and digestate which can be used as a balanced fertiliser, with lower risks of pollution or run-off than untreated manure. The energy sales revenues cover the manure collection and operating costs. Eleven local jobs have been created by this Terra’greau project, and waste disposal costs have been reduced for the local community (organic waste previously had to be transported to installations further away). Nespresso has been recycling its coffee capsules for more than 25 years. Today, its global recycling scheme covers 39 countries and includes a collect-from-home service, where used capsules are taken away when a new order is delivered. Nothing goes to waste: the valuable coffee grounds are separated from the light aluminium casings and transformed into green energy or a nutrient-rich compost. Coffee has long been known to gardeners for its soil-enhancing properties, injecting minerals including phosphorus, potassium, magnesium and copper. Using coffee grounds also improves drainage, aerates soil, and acts as a natural pest repellent. Nespresso’s coffee grounds are put to a variety of uses. In Switzerland, they’re used to grow grapes in the historic Lavaux wine region. In Portugal and Spain, Nespresso coffee is used to fertilise rice which is then given to foodbanks. And in Singapore, coffee grounds go to the Quan Fa organic farm, which matches every bag of recycled capsules with a meal donation to a person in need. A seventy page brochure published by the German Federal Environment Agency, UBA, suggests that secondary raw materials represent a significant economic interest for Germany, including plastics, metals, concrete. The report notes that from 1975 to 2005 some 0.65 million tonnes of phosphorus have been landfilled, but that recovery would be nearly impossible as this is contained in mixed waste landfill, and in not dedicated landfills of mono-incineration ash. Such separated landfill will be required in the future by the new German sewage if phosphorus is not recovered from sewage. 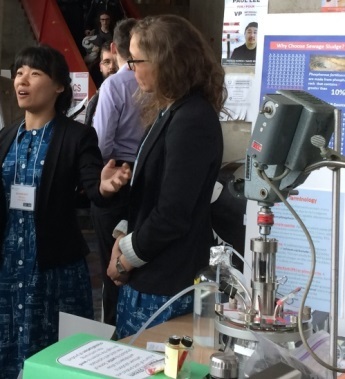 The top prize of the Ottowa University Design Day, out of a hundred student entries, has been given to a process proposed for recovery of carbonate apatite from wastewaters, proposed by Jessica Ross. Carbonate apatite is of interest because the carbonate substitution in the calcium phosphate mineral lattice increases solubility, and so potentially plant availability. The submitted process is published in “Minerals”, presenting laboratory scale testing using pure phosphate and calcium carbonate solutions (which can be sourced from limestone). Bone mineral was tested as a seed material because it contains a higher carbonate fraction than phosphate rock but reuse of precipitate material as seed showed the highest calcium content. Studies are now underway using real anaerobic digestate liquor. s nutrient recycling objectives. Finland has committed to implementing advanced nutrient recycling processes in at least 50% of sewage sludge and manure by 2025, as a goal of Baltic Sea action programmes and of the Finland government’s programme “A land of solutions”. The researchers consider that this objective will not be achieved with current policies. Finland currently uses around 11 000 tP/year of phosphorus, compared to 26 000 tP potentially recyclable (mainly in livestock manures 19 300 tP, and in surplus grass and sewage biosolids, each nearly 3 000 tP). Currently only 5% of Finland’s manure is processed, whereas at least 20% needs to be, in particular to reduce water content (enabling transport) and improve nutrient use. The EU Fertiliser Regulation revision will be an important facilitator, but is not sufficient to ensure nutrient recycling implementation. The researchers consider that a “total reform” of policy instruments is necessary, covering livestock unit permits, animal production guides, inclusion of phosphorus limits in Nitrates Directives Action Programmes, regulatory requirements to replace mineral by recycled fertilisers, incentives for nutrient recycling, contaminants in sewage biosolids, CAP agri-environment tools, research and data on nutrient flows, and on the phosphorus status of farmland.